Senior Australian of the Year 2013, Professor Ian Maddocks, shares his vision for a new model of caring for older people: the development of residential aged care facilities into ‘community hubs’, providing a wide range of support and services. Australia’s population of dependent older people is increasing rapidly and there is a widely-held judgment that aged care is poorly coordinated. Currently, it falls between the responsibilities accepted by state and federal authorities and extends across a wide range of services for healthcare, mental health, dementia care and social welfare support. There is a lack of effective medical supervision and of coordinated advocacy. As a result, substantial changes are needed in the delivery of aged care to overcome unnecessary barriers and multiple deficiencies, without incurring additional cost. A new model that could bring about those necessary changes is the Community Aged Care Hub. In essence, it would act as a centre for the coordination and management of all matters affecting the health and wellbeing of older people. Many residential aged care facilities (RACFs), particularly those housing 100 or more residents, are ideally suited to become Community Aged Care Hubs. The Community Hub would undertake social support, preventive care, dementia care and palliative care for aged persons in the local community while continuing to provide comprehensive aged care for its RACF residents. Underpinning the Community Hub is a fundamental goal to bring about meaningful change through the coordination and cooperation of a number of existing services. First, medical supervision in aged care facilities and of home care is often inadequate. Practitioners claim that the fee for RACF consultations is inadequate, considering the travel and the frequent complexity of the health problems presented. Many practices have abandoned home-visiting and increasingly both RACFs and homes depend on locum services to provide medical advice. A new model for aged care is needed that links the medical supervision of RACFs and home situations. Second, the frequency of improper and expensive transfer of RACF residents to acute hospital care – the common response by a locum to any significant acute problem – encourages unnecessary investigation, futile treatment and, not infrequently, deterioration and death of an older person in an unfamiliar and inappropriate environment. A major aim of the Community Hub would be to enable residents to remain in their RACFs, take full notice of advance directives and provide appropriate care, including palliative care. Third, initial assessment and follow-up for older people admitted to RACFs often lacks an effective comprehensive assessment, risk assessment and medication review. Part of the routine for the medical team based at the Community Hub would be the satisfactory completion of these necessary assessments. Finally, the introduction of advanced care directives among both RACF and home-based clients is currently patchy and inadequate. A full discussion of options undertaken prior to health interventions would help avoid expensive, unnecessary and futile treatments. The Community Hub would have other numerous positive impacts on service delivery, client outcomes and education and training. It would improve aged care in low and high care residential facilities through maintaining a general practice on-site, with medical staff who have acknowledged interest and skills in aged care, psycho-geriatrics and palliative care. Accordingly, there would be regular medical review of residents and a growing expertise in the management of the complex and multiple medical needs of many older people, reducing the need for off-site specialist consultation. It would also provide 24-hour medical care on-call to minimise unnecessary transfers to hospital. The Community Hub would have allied health services available on a full-time or sessional basis to RACF residents and to members of the local community. Such services could include psychology, podiatry, dietetics, speech pathology, physiotherapy, pharmacy and social work. Nurse practitioners with expertise in psycho-geriatrics and palliative care would be available to support both in-house carers and those offering care in client’s homes, such as GPs, district nurses, carers and family members. The Community Hub would provide improved dementia care for residents by facilitating ongoing education and training for carers, greater support by volunteer helpers and imaginative and proactive care routines devised in consultation with staff. Similarly, they would improve palliative care offerings for residents and people receiving terminal care at home through knowledgeable symptom control and family support available in the RACF, but also in the local community, with increased opportunity for dying at home. The Community Hub could open up its facilities by developing a club for older people living in the local community to encourage healthy ageing with exercise classes, activities and discussion groups. Likewise, they could provide general social support by offering a midday hot meal for community-based older people, as well as the opportunity to have laundry done or a regular assisted shower. These services would reduce the energy and expense entailed in providing home-visiting services such as Meals-on-Wheels and home care packages. The opportunity for consultation with a social worker would be important to some residents and community members. A kindergarten on-site would bring both young mothers and small children into the world of the elderly, reintroducing elements of the extended family that used to be the setting for aged care, reducing community fear of the RACF and allowing residents to offer, with appropriate supervision, affection and personal experience in interactions with the youngsters. The Community Hub could facilitate local volunteers, retired people and others to support activities for residents and club attendees. Training and encouragement for this essential corps of supporters would be a further responsibility for the multidisciplinary team. It would benefit from the employment of a volunteer coordinator and the opportunity to mix paid sessions of casual employment alongside voluntary service. Finally, the Community Hubs would offer the opportunity for enhanced links between tertiary institutions and RACFs in providing both undergraduate and postgraduate placements for students of aged care and on-site education opportunities through case studies, tutorials and discussions. Medical staff for a Community Hub would usually require some additional training to provide expert oversight of patients in the fields of geriatrics, psycho-geriatrics and palliative care. There are existing postgraduate diplomas being provided by universities or colleges in palliative medicine and in geriatrics; a more wide-ranging program is suggested that would embrace all three areas. A multidisciplinary ‘Postgraduate Diploma in Comprehensive Aged Care’ would be open to graduates in all health disciplines, not just in medicine, and welcome graduates in nursing, psychology, social work, physiotherapy and pharmacy. GPs who completed the diploma would become ‘elderly care practitioners’ with a recognition and respect not currently accorded to those who give good service in RACFs. Similar recognition would accrue to staff from other health disciplines; on completion of the diploma they would be equipped to undertake leadership and teaching roles in aged care situations. The development of RACFs as Community Hubs must be seen as a medium and long-term vision. It will not be introduced by a simple political decree. It will require widespread advocacy within communities and the professions. Many RACFs will see the advantages of moving towards the model of a Community Hub, but political support at both federal and state levels must begin to recognise the value of a model that brings comprehensive aged care and social welfare support together in location and management. It would be helped by the institution of a new Medicare Benefits Schedule for ‘elderly care practitioners’ and qualified nurse practitioners. It calls for appropriate university courses comprising, in a single award, aged care, psycho-geriatrics and palliative care. The concept and operation of the model will need intelligent advocacy. Essential to its success will be support from the various stakeholders, including federal and state governments, not-for-profit and for-profit organisations managing RACFs, the Australian Medical Association, the Royal Australian College of General Practitioners, nursing bodies, geriatric and gerontology organisations, universities and colleges. A number of management models can be envisaged by which the interests of the major stakeholders could be coordinated. Medicare Locals might be considered as appropriate bodies to develop the model and oversee its implementation in consultation with stakeholders. Inevitably, the concept of Community Hubs will not be welcomed universally. For example, some established practitioners may claim that they are already providing high-quality aged care and do not wish to undertake further training or participate in a Community Hub. Models where the total concept is trialled, demonstrated and shown to increase the standard of aged care without unnecessary increases in cost will be helpful, but existing RACFs can begin to institute components of the vision as they see opportunity. With regards to the establishment costs involved, a variety of models is possible. An RACF could fund the building of the general practice and club facilities and lease them to professionals or community groups. Entrepreneurs could take financial responsibility and manage lease arrangements, or doctor/allied health groups could undertake the financial responsibility themselves. Alternatively, innovative approaches to raising capital from superannuation funds or corporate entities might be found to underwrite the costs. The example of what is being undertaken for school and youth support by Social Ventures Australia is encouraging of such possibilities. With regards to running costs, no increase in government funding for the care of RACF residents beyond current levels should be expected. Funding of RACFs is widely regarded as inadequate, but the aim of developing a RACF into a Community Hub is to improve care through increased training and support of staff, a wider range of services coordinated on-site, and a new morale and energy within the Community Hub, not through higher staff-resident ratios. Medical participation in the Community Hub would normally be funded through Medicare bulk-billing. An increase in the fee-for-service payment for medical practitioners and nurse practitioners with appropriate postgraduate aged care qualifications should be considered. To constrain unnecessary medical consultations in-house for RACF residents, a basic stipend for doctors offering care, calculated on a bed numbers base, could be considered as an alternative to fee-for service. At the same time, it should be anticipated that the vocational spirit engendered in the work of the Community Hub, as it is recognised for bringing about major improvements in aged care, will inspire all who participate in the exercise, and help them consider the work as a privilege rather than a business proposition. The idea for the Community Hub came primarily through experience – visiting aged care facilities and seeing the difficulties staff had in meeting the needs of residents, the concerns of family members and the various requirements set by authorities. There seemed to be a dearth of medical support, far too many drugs being administered, too rapid disposal to an acute hospital when some crisis presented. I was accustomed to caring for dying patients at home; that is the best palliative care. A RACF is home to its residents – they should be looked after there, and avoid the fears and intrusions and strangeness of acute hospitals. So I saw the need for stronger professional support available round the clock. In a brief conversation in 2013, Senator Concetta Ferravanti-Wells, then shadow minister for ageing, raised for me the idea of a general practice based in a RACF, and I have pondered this, read extensively the literature and expanded the concept. Already some RACFs are introducing GP services on-site, but the equally-important challenge is to bring the institution and its local community into a mutually-supportive and cooperating framework. I invite wide consideration and discussion. Professor Ian Maddocks was Senior Australian of the Year 2013. 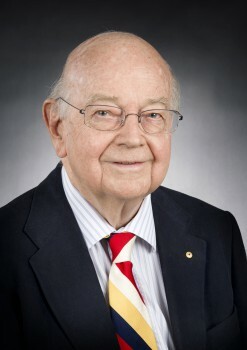 An Emeritus Professor at Flinders University, he was the first chair of Palliative Care at Flinders University, first president of the Australian Association for Hospice and Palliative Care and first president of the Australian and New Zealand Society for Palliative Medicine. Feedback on his proposal can be sent to madd0064@flinders.edu.au. Smart thinking professor Maddocks, many of us gerontologists are already building models such as the one you have outlined. The problem is that thinking boldly has a tendency to frighten people, and the funding is always an issue. I can only agree that we are limited only by our imagination in building better aged care and support to the elder community. Great concept. Imagine how the aging population would be enhanced by a lifestyle like that. It would revolutionise Aged Care. Excellent analysis as to how the Residential Aged Care Industry needs to evolve. I strongly agree with everything you’ve written in this article. Our seniors health care services are fragmented. The goal of establishing a single services provider or infrastructure that offers a “continuum of care” from pre/post retirees (inc prevention) to community care to in-home care to residential care to palliative care makes a lot of sense. Certainly for the people it serves, it would make for a more integrated, proactively planned and therefore a series of much more comfortable transitions. If we get it right people should be able to stay in their homes much longer and still get the social benefits of actively participating in an extended community. Preventative health would also be a much more obvious part of any “continuum of care”. The recent productivity review has a number of recommendations that support such an industry transition. However the industry’s economic elephant in the room is that the residential aged care business model in Australia (less so elsewhere around the world) is predicated primarily on property management financial metrics. The ongoing market consolidation means that traditional property management firms have gained greater market penetration. This business model needs to change. The culture also needs to change. You are right it is going to require bold thinking but I think you have already done the “bold” part of that. You have identified an appropriate market evolution. The Government has also begun to move in the same direction. The really big challenge requires bold ACTION from either the current market participants or new innovative market entrants. Thank you for publicising your analysis and beginning the real conversation that we need to have. Dear Prof Maddocks, I spent 2 months in the USA over Oct-Dec 2013 to look at a range of innovations in the longevity economy ( Lol…isnt that a lovely word to describe us?) and there is a US-wide network of community hubs that very much operate along the lines you describe above. I met with the founding couple of the Capitol Hill Village in Washington DC and spent an afternoon with them and 3 member households. Their mission: They are a neighbourhood nonprofit organisation that aims to sustain and enrich the community of Capitol Hill residents for the long term. e work hard to ensure that our members have the confidence and practical means to stay in their own homes throughout their lives. 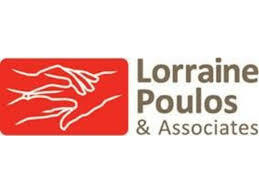 With one phone call or e-mail message, Village members gain access to a range of professional and volunteer services and a variety of educational and social programs. Individuals and households of all ages are encouraged to join. I am leading some thinking at AMP on seeing how we might be able to support such experiments in Australia. Ironically, one of the factors that was the biggest determinants of the success of these community hubs in America was that they were self-funded and driven by communities themselves. Those who were propped up by grants and benevolent donors did not have the same backbone and resilience. However- I’d be happy to meet with you and any other contributors to this forum to support communities who want to make a start with something like this. Over 250 paid up members. NSW govt and North Sydney council have given us very small seeding grants totalling $11,000. 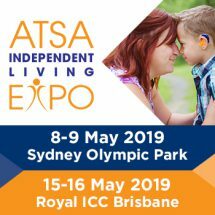 Yes sounds great in theory and I think it may well work in practise, but as stated where is the mention of Diversional Therapists to provide the assessment, referral and support to the RAOs and volunteers who will implement these social support activities, program’s and outings? This hub idea makes a lot of sense as do many of the variations on a theme that look at how the interfaces between residential and home care, and aged care and acute care, can be managed. Mind you, I think this idea is politically dangerous. I’m sure Connie Fierranti-Wells espoused this approach when she was Shadow Minister for Ageing. The rest, as they say, is history. Some good ideas, but are you proposing a Community Hub with on-site GP’s (+nursing staff, allied health, etc) with 24hr cover in each RACF > 100 residents? That would appear very unrealistic. You would need at least 4-5 GP’s minimum to cover the roster and it would not necessarily be viewed as attractive work. The model would need to be for a service covering an entire geographic area. Then, how would you migrate from current practice-level arrangements to more of a stand-alone, dedicaed RACF medical service wihout losing continuity of care and choice? Having said that, it’s clear the current arrangements are often very poor with residents (and doctors) receiving poor value. The community hub is a great idea Prof. Maddocks, hope it takes off! Great idea. As a medical practitioner with an aging mother (also a retired doctor) I am familiar with the current fragmentation and severe underfunding of aged care. I would also like to suggest that the current emphasis on self determination in aging among aged care providers, while important, often ignores the role of the person’s family. In my experience aged care providers carry on working with the elderly person with minor or more severe cognitive decline and fail to proactively communicate and work with the family who are trying to manage the regular medical crises that occur. I also suggest that aged care becomes much more of a special interest group for GPs, rather than just part of the GP’s general GP work. From my personal experience, I believe that the failure of early diagnosis and lack of proactive early management of health problems in the elderly (symptoms ignored as just part of aging) contributes to the ever increasing health costs in this country. Key performance indicators linked to funding for aged care providers in public and private sectors also need to be strengthened and more clearly linked to specific health outcomes for the clients. At present private aged care is just a bonanza for the owners and public sector aged care is poorly managed.